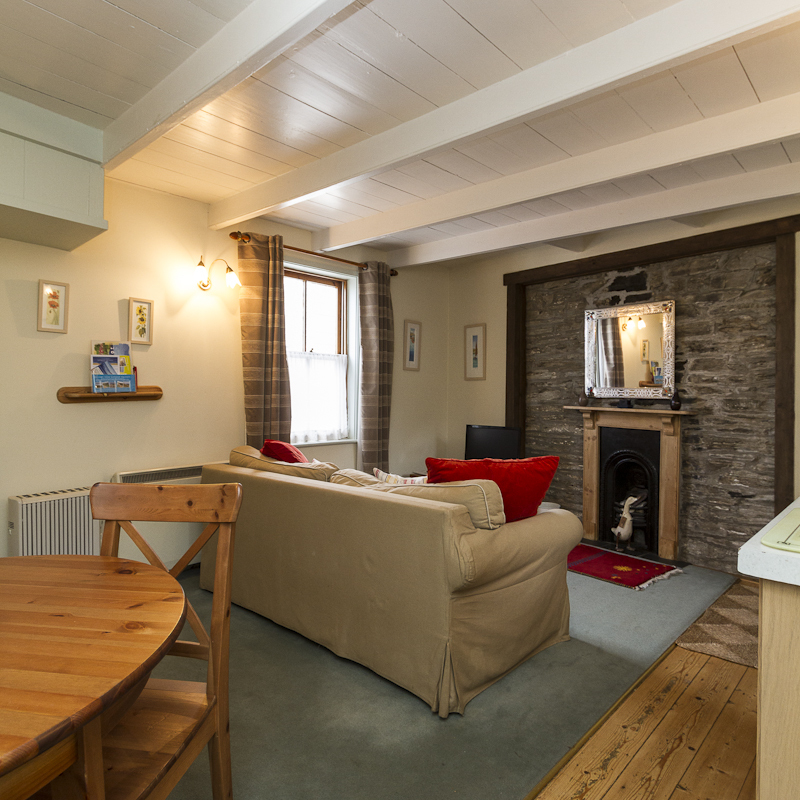 Close enough to hear the clinking masts of the harbour, yet tucked away at the end of a residential mews – Portloe treats you to a slice of seclusion in the middle of town. After an afternoon discovering the shops, coves and cafes of Padstow, and sit back to enjoy takeaway chips on the terrace. 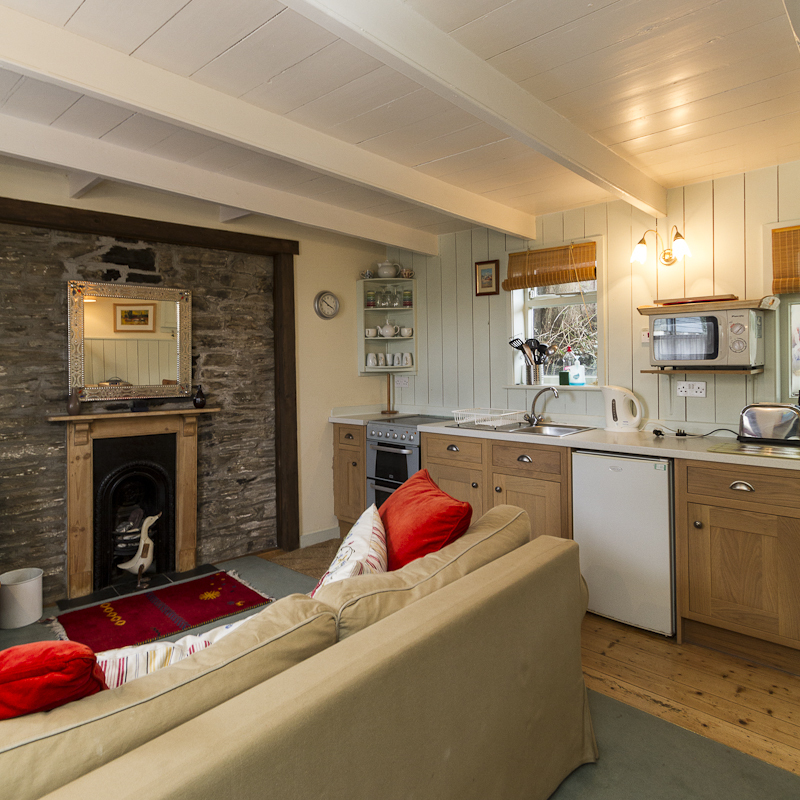 Inside, Portloe blends original cottage style with modern features, for a bright and comfortable finish. 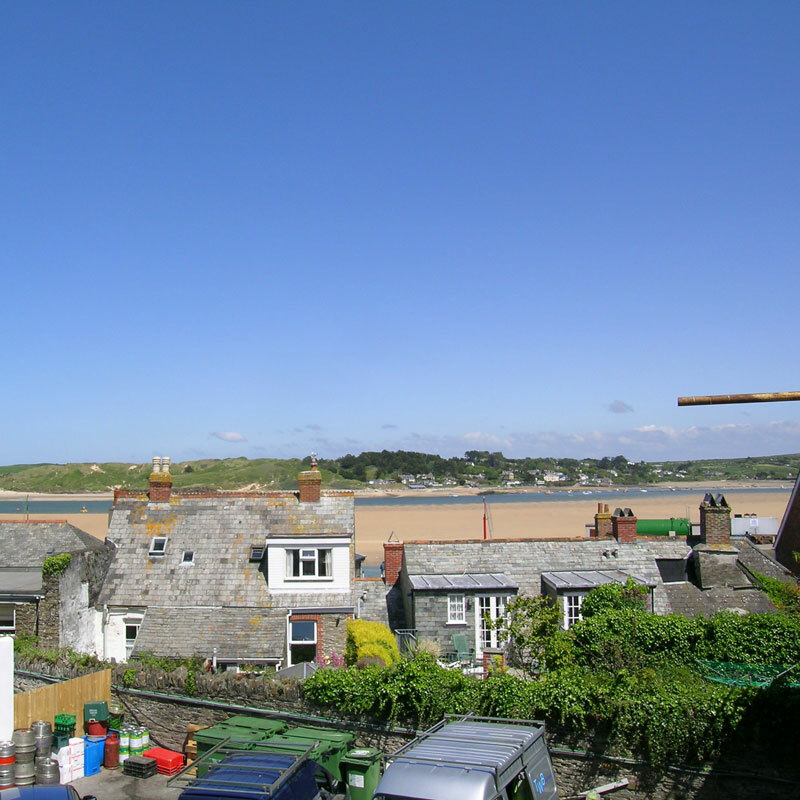 At the end of the day, gaze out your bedroom window and watch the evening sky shift across Padstow’s rooftops and beyond. 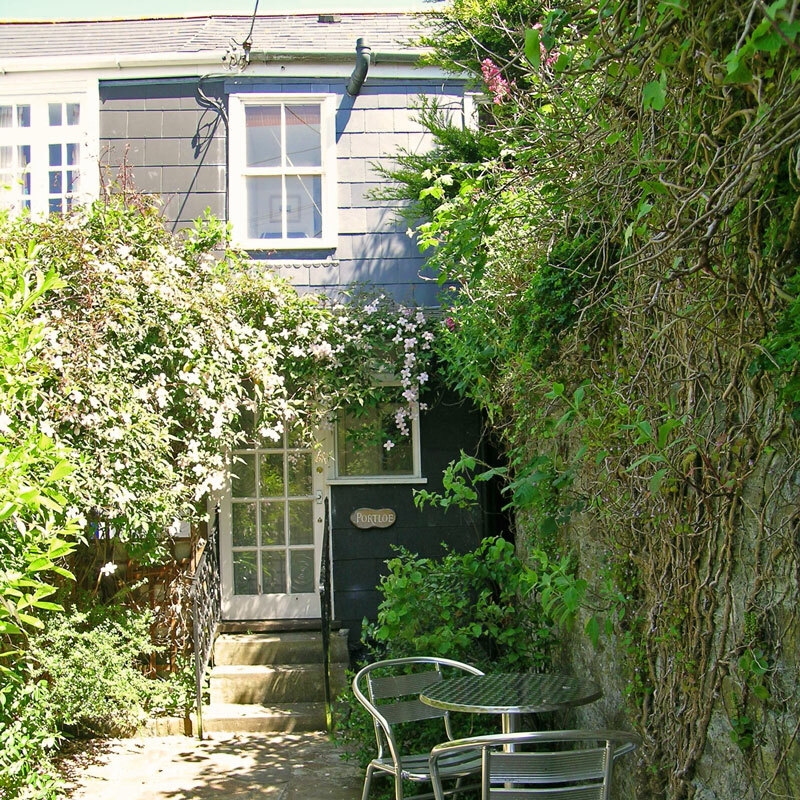 ACCESS: There is a long path and a gate that leads along Commercial Terrace to Portloe which is the last property. 1 step up through a small gate takes you into the front patio garden with table and chairs. A further 4 steps take you up into the porch with 1 more step taking you inside. 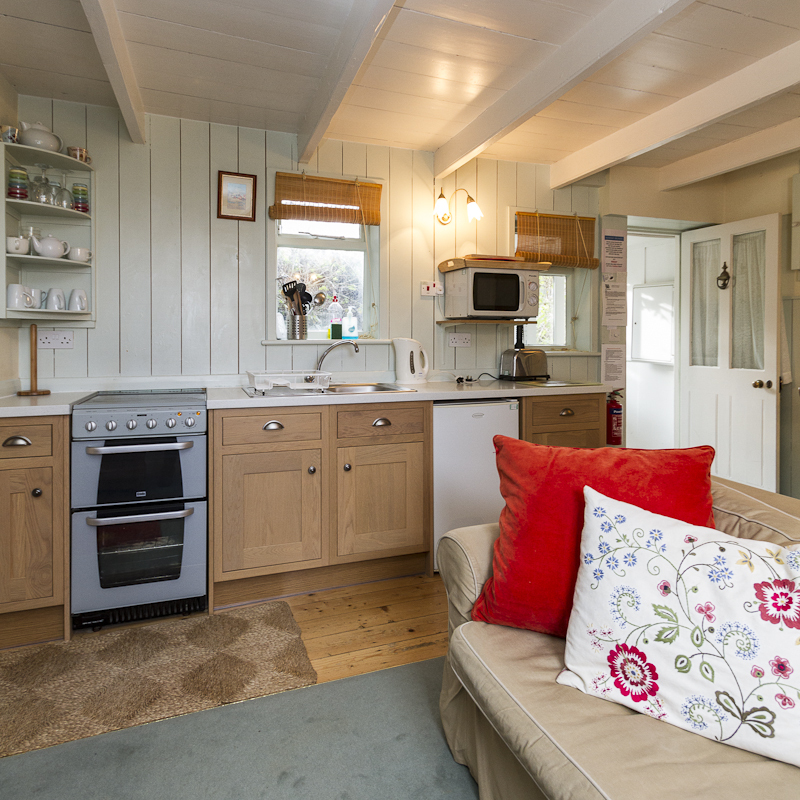 GROUND FLOOR: The ground floor is open plan with a living/dining room/kitchen. 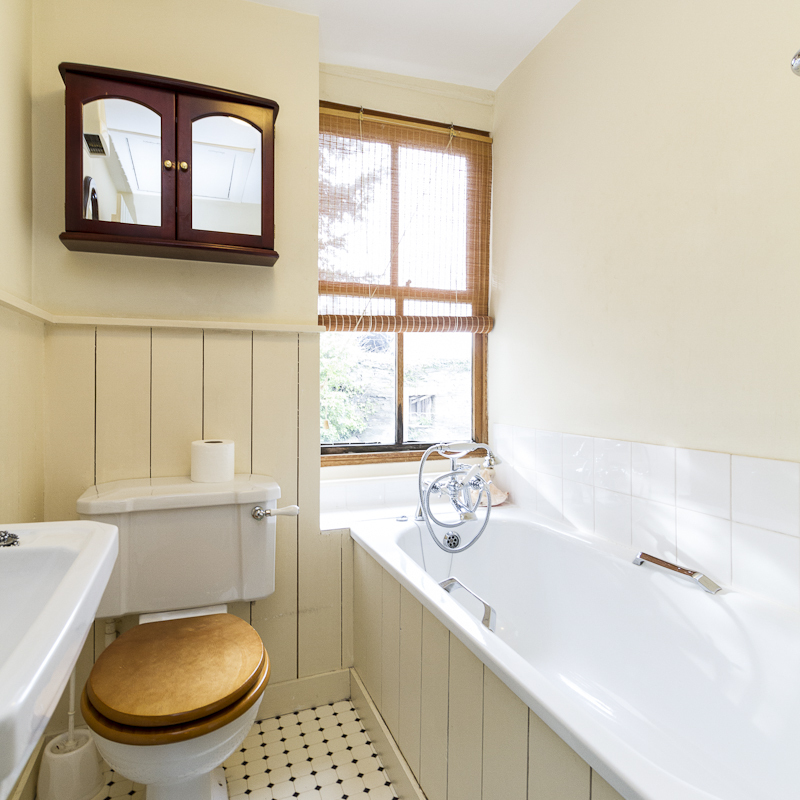 FIRST FLOOR: 11 steps up a narrow and winding staircase (with a handrail) take you to the first floor and 1 double bedroom and a bathroom with bath and shower attachment (not suitable for showering), washbasin & WC. 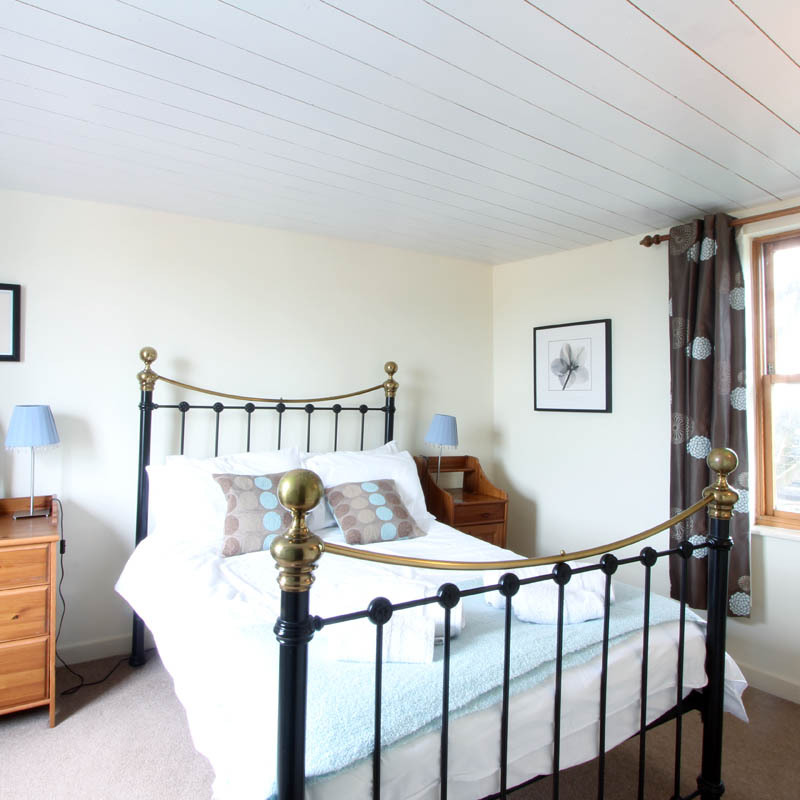 HEATING: The property has night storage heaters controlled on the top and there are electric heaters in the living room and bedroom. NB: The nearest payphone is outside the Custom House in Padstow. 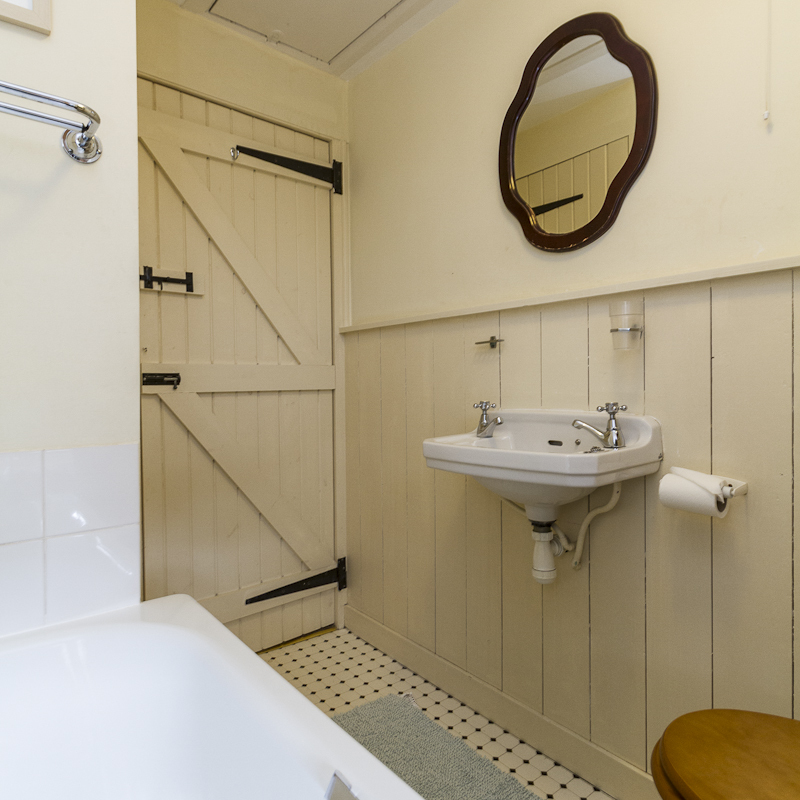 1 double bedroom (4ft 6″) with distant views of the estuary and a bathroom with bath and a handheld shower, WC and washbasin. Patio garden at the front of the property, there is also an outbuilding for storage. Babes and Bikes, Wadebridge, 01208 815262 – https://www.babesandbikes.co.uk/Offers a large selection of baby equipment including cots, high chairs, stair gates and buggies, they will deliver to and collect from your accommodation. Distant estuary views from the first floor. There is no parking at Portloe, please click here for details of where you can park in Padstow. 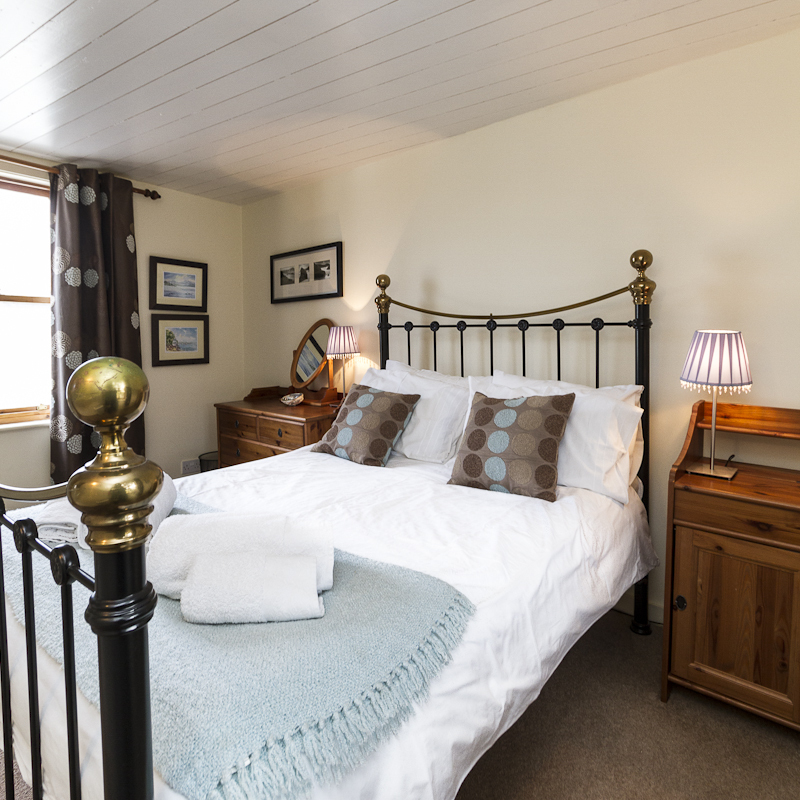 There is no WiFi at 6 Portloe, but you can find many of the restaurants/pubs nearby will have access. 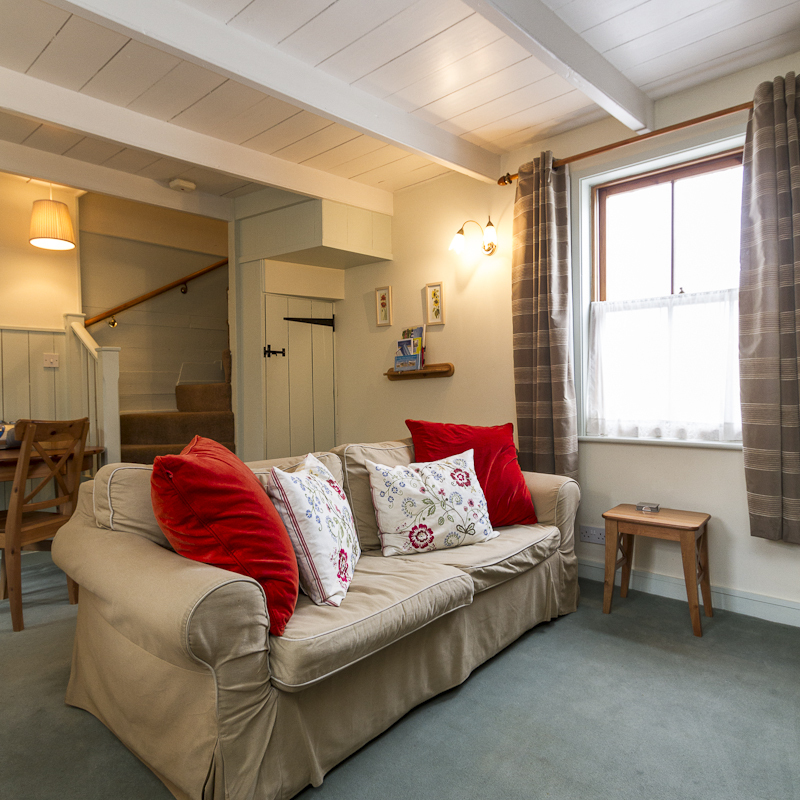 "Really good to be so central, just a stones throw from everything…." Breakfast on the patio, grab your bikes from the storage area, drag the dog out the doggy room and set off on an adventure. Pensers has everything you need.